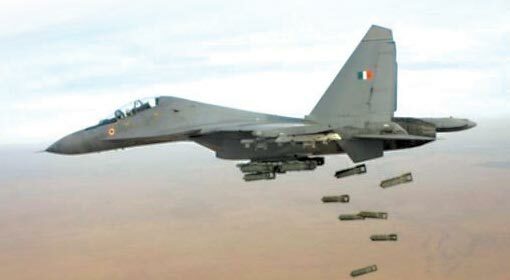 New Delhi: The Gaganshakti war exercise being conducted by the Indian Air Force at the Pakistan and China borders, which included more than 11,000 sorties of the Indian Air force planes, have been concluded. The first phase of this Air force exercise was held on the Pakistan border. Following this, the second phase of these exercises was started by the Indian Air force on the Chinese border. The techniques to counter biological and nuclear warfare were also studied during the exercises. It is claimed that China had kept a close watch on these exercises. Indian Air force strongly exhibited its air power in this 14 day-course of exercises. 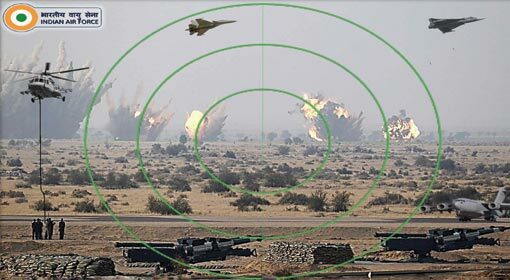 After demonstrating the capabilities of the Indian Air force on the Pakistan border, the analysts were eagerly awaiting these exercises on the eastern border. Incidents of violation of Indian airspace by the Chinese jets have been reported in the last few months. It had become necessary for the Indian Air force to prove its capabilities to the Chinese, in view of the repeated intrusion by the Chinese helicopters into the Indian airspace. Therefore, the exercises on the eastern border were considered important. Most importantly, it proved the kind of actions the Air force is capable of, in the eventuality of a biological or nuclear warfare. 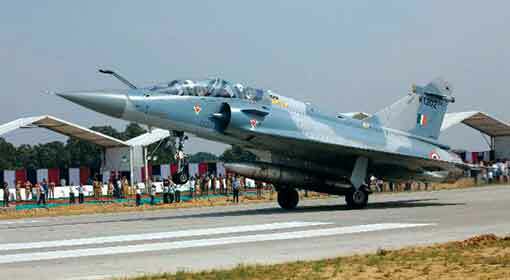 The Air Chief Marshal had recently stated that the Indian Airforce is better prepared than its Chinese counterpart on the eastern border. The reflections of his statements were also seen in the Gaganshakti exercises. 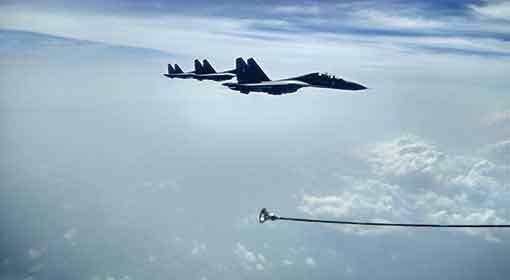 It is claimed that China has taken a note of these exercises and is minutely assessing the capabilities of the Indian Airforce. India had never conducted exercises of this scale on the eastern border. Taking advantage of this, China had made many invasions into the Indian airspace. But this will not be tolerated by India anymore. 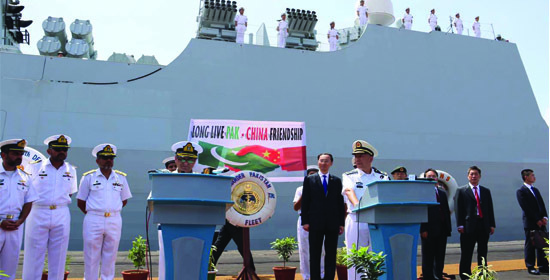 The message that India has the strength to reply to China, has been properly delivered through these exercises. 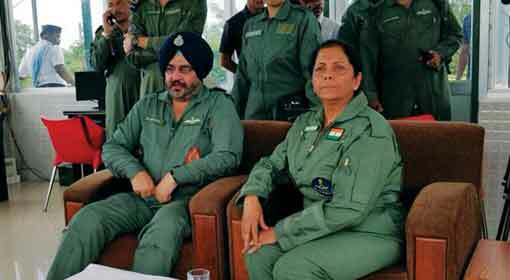 Defence Minister, Nirmala Sitharaman and Air Chief Marshal, B.S. Dhanoa inspected the Gaganshakti exercises when they commenced on the eastern border. 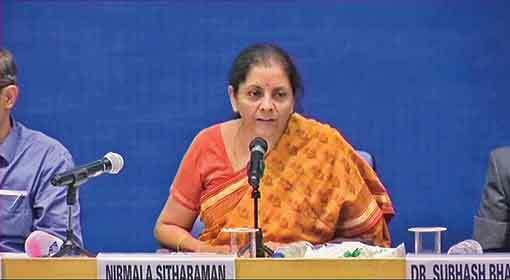 On this occasion, Defence Minister Sitharaman tacitly indicated that the Indian Air force is capable of fighting a war on both, the Pakistan as well as the China borders. A few months ago, Army Chief General, Bipin Rawat had also assured the Indian people with the same confidence.